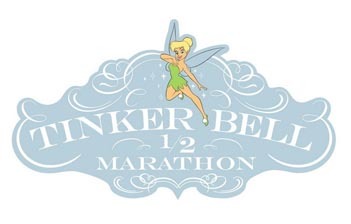 ANAHEIM, CA - (May 5, 2015) - Runners, joggers and walkers will take to the streets of Anaheim on Saturday and Sunday mornings, May 9-10, during the 2015 Tinker Bell Half Marathon Weekend. The Tinker Bell Half Marathon Weekend, taking place Thursday – Sunday, May 7-10, is part of runDisney’s series of events in Anaheim. Please note the following temporary road closure schedule for Saturday and Sunday mornings only. * Commuters are encouraged to plan accordingly. I-5 Freeway Off-ramp (5:00-6:30 a.m.) Southbound at Harbor Blvd. I-5 Freeway Off-ramp (5:00-8:30 a.m.) Northbound and Southbound at Harbor Blvd.I-5 Freeway Off-ramp (5:00-10:00 a.m.) Southbound at Disney Way. Race concludes on the Disneyland Resort property. The Tinker Bell Half Marathon course will take participants on Anaheim city streets, past landmarks and entertainment stations, and through the Disneyland Resort. The Tinker Bell Half Marathon Weekend also includes the Neverland 5K, Kids Races, and Pasta in the Park party. In addition, a health and fitness expo featuring merchandise products, apparel and guest speakers will take place at the Disneyland Hotel. For more information please visit www.runDisney.com . *Times are Pacific Daylight Times and approximations. Information is subject to change without notice. ⇐Previous COMMUNITY INVITED TO SHAPE ANAHEIM’S FUTURE AND PROVIDE INPUT TO DRAW CITY COUNCIL DISTRICTSNext⇒ May the 4th Be With You!